Blonde hair can be stunning if you take care of it the right way! You can keep your blonde hair bright and beautiful with the help of purple shampoo. 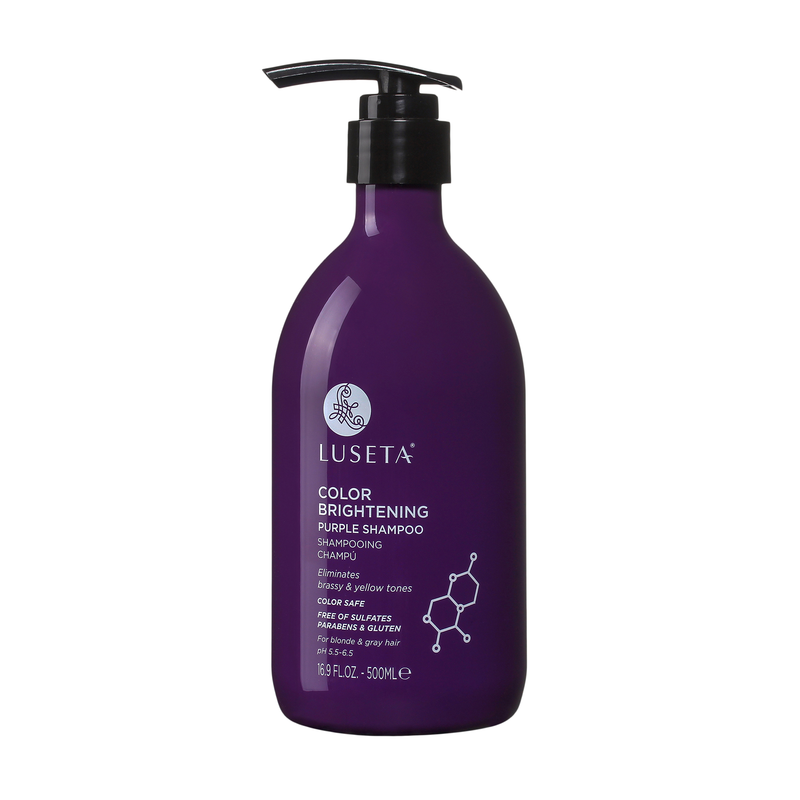 It may sound strange, but using purple shampoo can help you keep your hair color vibrant. When you first dye your hair blonde, it looks amazing straight from the salon. But, after a few washes, the color seems to fade over time or turn brassy. As expensive as hair color treatments can be, you’ll want to preserve your hair color. Even if you are a natural blonde, you want to keep your natural color as bright and vibrant as possible. To keep your blonde hair from looking dull and brassy, add purple shampoo into your hair care regimen. Purple shampoo is a shampoo that’s deep purple in color. Blonde hair is the opposite of the color purple on the color wheel. 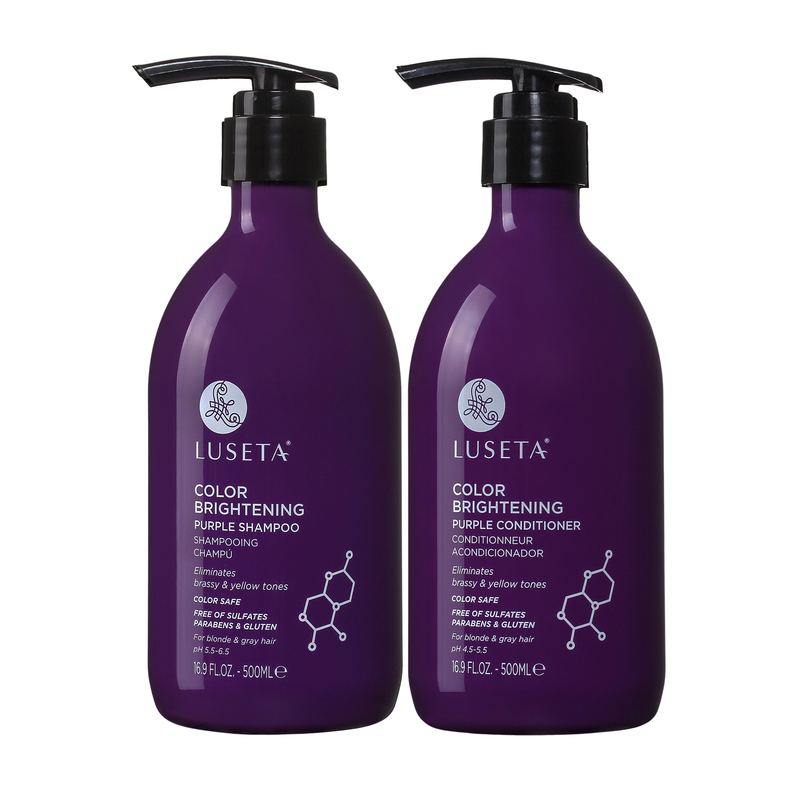 When you wash your hair with purple shampoo, small amounts of the purple color are deposited into your strands. The red and yellow undertones in your hair that make your hair turn brassy are camouflaged or canceled out by the purple deposits. The result of using purple shampoo is blonde hair that looks shiny and vibrant. Don’t worry. Your hair will not turn purple! It will still be blonde. It’s easy to use purple shampoo. Much like regular shampoo, you simply thoroughly wet your hair with water in the shower or the sink. Apply a small amount of the purple shampoo to your strands, working it into a lather. Instead of rinsing right away, let the shampoo sit for one to five minutes. This is enough time for the shampoo to do its magic and penetrate your hair strands. After the amount of time listed on the shampoo bottle has passed, you should thoroughly rinse your hair to remove the shampoo from your hair strands. After you rinse the shampoo from your hair, follow with conditioner. Apply a generous amount of conditioner to your strands, and then rinse the hair. It’s important to condition your hair after shampooing to keep it soft, strong, and healthy. If you do happen to see any of the purple from the shampoo in your hair, just rinse it out thoroughly. Then, follow with conditioner. Purple conditioner is also available, but you don’t have to use purple conditioner with purple shampoo. You can use regular conditioner after you use the purple shampoo. You can make the small change of adding purple shampoo to your hair regimen to achieve shinier, more vibrant blonde hair over time. Once you’ve invested in hair color, or if you naturally have beautifully blonde hair, you can keep it looking its best by using purple shampoo.